Conveniently located at Barefoot Landing, Alligator Adventure showcases a collection of exotic birds, lizards, giant frogs and reptiles from around the world. Alligator Adventure has black bears, Galapagos tortoises, rattlesnakes and pythons and the star of the show is Utan, a 2,000-pound, 20-foot long crocodile that was raised in Thailand. He’s the largest crocodile to ever come to the United States. Meander through the marshes, along the swamp trails and explore the zoological gardens. 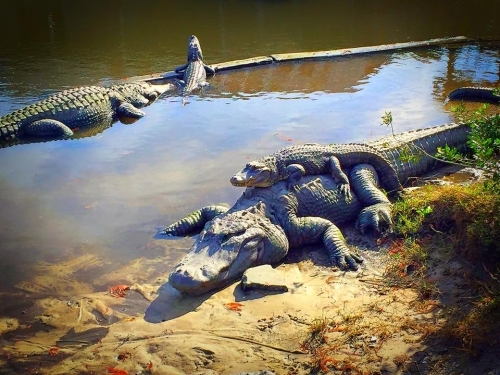 Some of nature’s most beautiful and intriguing exhibits are found at Alligator Adventure.